A nicer car and a higher rating should earn you more cash. With our high-end ride options, you get rewarded for providing a high-end experience to passengers who pay a little extra for a nicer ride. If you’re eligible to drive with Lyft Premier, Lyft Lux, or Lyft Lux SUV, you’ll receive a notification the minute these rides are available in your city. See if high-end rides have arrived in your city. High-end cars, top-rated drivers, up to 2x the earnings, and better-tipping passengers. 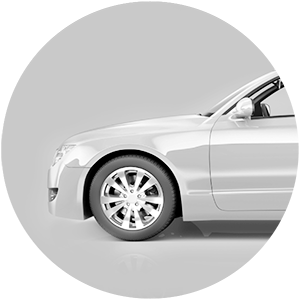 Luxury black cars, top-rated drivers, up to 3x the fares, and better-tipping passengers. Luxury black car SUVs, top-rated drivers, up to 5x the fares, and better-tipping passengers. Don’t drive a high-end car? You can still cash in on high-end rides when you refer drivers with fancy cars. When they start driving, you could both score a bonus. Terms apply. Make the most of high-end rides. Lyft’s high-end rides match you with passengers who are more likely to give you better tips. Here’s how to make every ride worthy of a 5-star rating. Keep an eye out for requests. They’ll be labeled in the app, so you know when your passenger might need some quiet time to take a business call. See how much more you'll make. In cities where Premier, Lux, and Lux SUV are already live, drivers get up to 2-5x the fares, plus higher tips. Your passengers will often be dressed nicely, so upgrading your in-car environment makes all the difference. Thinking about upgrading your ride or dusting off your spare set of wheels? See if your car qualifies for Premier, or Lux or Lux SUV.